With the introduction of the External Fine Adjustment on the Accutron Calibrator watch enthusiasts will now have the ability to individualize the accuracy of their mechanical watch. All automatic and mechanical timepieces have adjustments that need to be made to maintain accuracy, and keeping your piece at peak performance can mean periodic visits to a watchmaker. The Calibrator permits wearers to maintain a level of accuracy without the need of a professional. 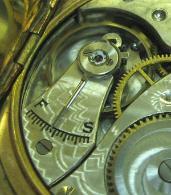 It takes the fine adjustment or regulator screw, and makes it adjustable from the exterior of the watch case. The external fine adjustment system lets the wearer fine tune their watches when needed, maintaining extraordinary accuracy based on their individual circumstances. The dial of the Calibrator shows an easy-to-read gauge showing the markings of the regulator adjustment, adding or subtracting time from the watch. Located at the nine o’clock position, it allows the wearer to track each individual modification as they adjust for accuracy. The gauge is arched with a minus sign at the top of the arch representing a slower speed, and a plus sign at the bottom for a faster speed. There are three marks going up and down, each representing an adjustment of five seconds per day. The fine tuning is made by a key that fits into an opening on the side of the watch case. This adjustment lets the wearer adjust the length of the hairspring to optimize the accuracy of the watch, with each adjustment visible on the regulator gauge. The Calibrator extends the brand’s reputation for innovation and precision. Fashioned in Europe and created in Switzerland, representing the ideal of American innovation, the Calibrator captures the essence of Bulova’s distinguished history and reputation for invention. It is simply designed and beautifully crafted, expressing the fine intricacy and easy operation of the watch’s features. The Bulova Accutron Calibrator with External Fine Adjustment System will be available in three styles. Scheduled to be available globally in September 2012 with a price range from$1,595 to $1,695, and at that price this watch is exceedingly swell. This entry was posted in Bulova, Watches and tagged accutron, Bulova, calibrator, Citizen, external, fine adjustment, New York City, precision, regulator EFAS, rose gold, Shopping, Swiss, Watch, watch complications, Watches. Bookmark the permalink. An excellent article about a fascinating new watch. I am a big fan of Bulova and Accutron and enjoy my Accutron Kirkwood skeleton dial watch a lot. It will be interesting to see how this is received in the horological world. There is a lot of value for the money in the Accutron brand and with this new Calibrator, a healthy dose of innovation as well. Thank you for the comment. 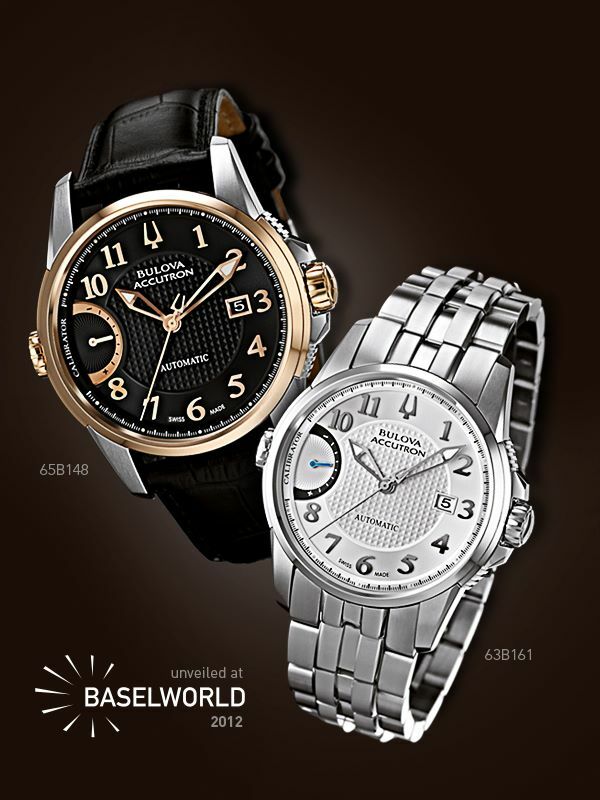 I Agree, I think Bulova makes a quality watch for the money, I particularly like the Precisionist line. As far as how the world of horology will recieve it, I am sure more than a few high-end watch snobs will dismiss it as just a cheap watch, but most of us will appreciate it for what it is; a unique and innovative timepice priced to be available to a broader market while maintaining quality and value.